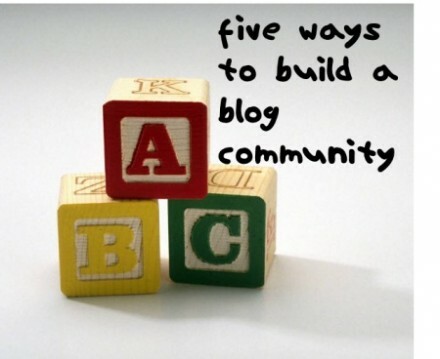 Getting readers for your blogs is more difficult than creating a blog. If you post a blog and there is no one to read your blogs, there is no use in posting it. The ultimate purpose of blogging is to share your knowledge with others and connecting with them to have a mutually beneficial relationship. What can you do to make readers stay with you? You can’t cast a magic spell to keep them on your page but your content can. Make your blogs swarm with people by following the strategies explained below. Blogging is a world where duplicity is not tolerated by anyone. If you don’t give them unique content, they are going to forget your blog. Therefore, let every blog post you write be unique in terms of words and ideas. This makes it important for you to choose niches in which you can keep generating unique content. The originality of your content decides how much traffic your blog is going to get. Find new and undiscovered areas within your niche and talk about them to build a blog community. Next comes the question of what. We just learned how to blog. Now try to answer yes or no to the following questions. Do you discuss practical problems in your niche? Have you shared your personal experience in your blogs? Have you ever attempted to provide solutions to problems? If your answer to these questions is yes, keep it up, you’re on the right path. Those who answer no should unlearn what they have learnt about blogging and relearn how to provide solutions. Readers want to be told what to do. They aren’t patient to try different ways and find out the effective way. Tell them what to do and they will come back to your blogs. Have you ever reflected your sense of humor in your blogs? Humor is not something to be avoided in your writing. You can try to insert laugh lines moderately even when writing on topics that have to be discussed seriously. It develops a sense of liking in the minds of your audience and makes them check out your blogs. You don’t have to create a first-rate comedy to enliven your blogs, just a few brief and light moments are enough to appeal the audience. Engage your audience with your blogs. Your writing should stimulate them to reply or comment. You can ask a question at the end of the blog so that they respond to it. Interesting them and engaging them have completely different meanings. Often, bloggers try their best to interest the audience by writing good content. However, the content may fail to engage them with the blog. Therefore, focus on creating opportunities for the audience to interact with you. Help your readers whenever they are in need. Mostly, they might not ask you directly for help. Therefore, if you find anyone expressing it in their comments, contact the person and offer to help. Helping is a good way to build a loyal community of readers. A happy reader = A loyal reader. This strategy has never failed anyone as far as I’ve observed. You also need to establish yourself as a mentor and impress your audience to develop regular readership.Follow these strategies to build your own group of readers and enjoy blogging! Robin Mckenzie likes writing articles related to Technology News, Gadget Reviews and How To’s. He also does guest posting for Buycenturylink.com, a site that offers savings and current information on consumers broadband internet and cable. Access website here or you can visit centurylink.com.